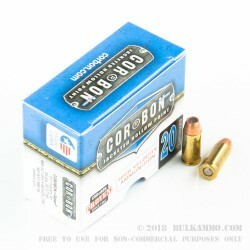 This 32 ACP cartridge by Corbon sports a 60 grain jacketed hollow point projectile. 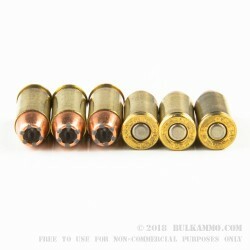 The gilding metal jacket fitted over the bullet’s soft lead core is specially scored inside and out to ensure uniform and rapid expansion to double the bullet’s diameter, with the jacket and core peeling all the way back to their base. 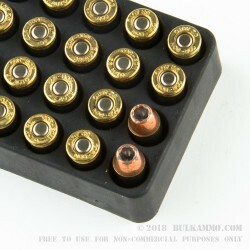 This cartridge’s expanding capability is complemented by its fast muzzle velocity of 1,050 fps, which helps it to overcome being clogged by clothing at the moment of impact. With the ability to penetrate 9” to 15” within a target, this is a round you may very confidently chamber in your Kel-Tec P-32 or other pocket pistol for self-defense. 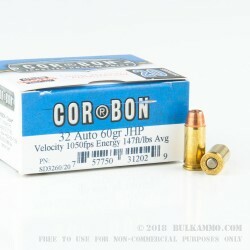 The South Dakotan ammunition manufacturer Corbon prides themself for dispensing with gimmicks and unproven designs in favor of producing only quality, reliable products. They stand by their trusted processes, and offer a sound 100 percent satisfaction guarantee on every round that they sell.